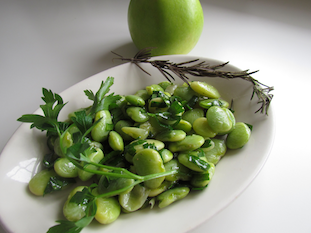 Organic fava beans are low in fat, rich in beta carotene and supply the valuable soluble fiber which helps lower cholesterol levels. 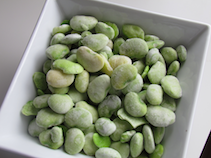 Fava beans provide good levels of protein, contain minerals and also a source of folic acid and vitamin E.
1. 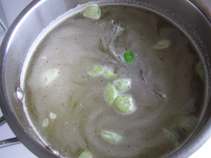 Place the beans and rosemary into a saucepan and cover with broth. 2. Over high heat, bring to a boil, about 10 minutes until the beans are cooked. 4. Drain the beans and place them in a bowl. 5. 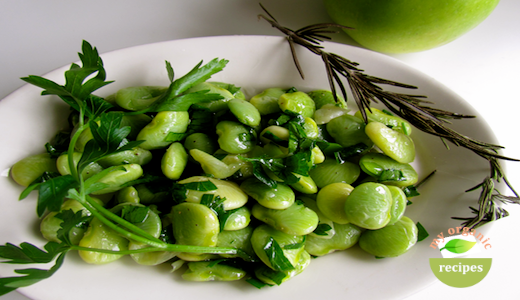 Mix the parsley with olive oil and stir into beans. 6. Sprinkle with pepper and serve.